It might be cold and miserable in your hometown, but February in Las Vegas is just warm enough to keep the airport busy and the hotels full. The temperatures will feel slightly cooler for those people coming from the southwest, but the rest of the country will feel like winter has been canceled. If you seek shelter from winter as well as a whole calendar of sporting events, shows, and other activities, Las Vegas during the month of romance is perfect for you. Even in February, Las Vegas weather is perfect for being outside. While the rest of the country is isolated in the depths of winter, Sin City—which receives more than 300 days of sunshine per year—is likely to experience mild temperatures and clear days during February. February is typically the coldest month of the year in Vegas, but that's a relative term: Cold here means an average temperature of 54 degrees Fahrenheit (12 degrees Celsius). While you might not be lounging poolside, the mild temperatures are still plenty warm for al fresco dining, a mid-day round of golf, or taking day trips to the Hoover Dam or one of the area's other attractions. February also attracts a bit more rainfall than other times of the year, but nothing that would ruin your trip. On average, you can expect to see light rain, about an inch throughout the month, spread across six days. Additionally, there's almost no cloud cover during this month and, usually, nine hours of beautiful sunshine to soak up. The average humidity for the month is about 28 percent. Las Vegas has an ever-changing calendar of shows, concerts, and other performances, but there are a few events that draw the crowds year after year. Hockey is alive and well in Las Vegas, so head into the T-Mobile Arena to watch the Las Vegas Golden Knights. This frigid rink for this new NHL hockey franchise will make you feel like it is still winter in Las Vegas. Valentine's Day is huge in Las Vegas, and if you are considering getting married, you might as well do it on February 14. 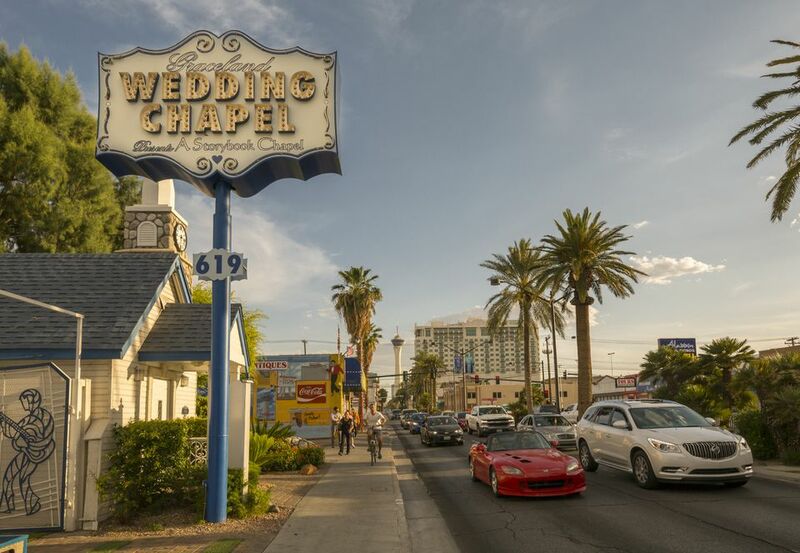 There are plenty of wedding chapels in Las Vegas and very talented wedding planners at each resort. President's Day weekend in mid-February is among the least-crowded holiday weekends in Vegas. Cooler temperatures and cheaper hotel rates make it a prime time to visit. While February might still look warm, it's not exactly pool season yet in Vegas. Skip the swimsuit unless you don't mind a cold dip! This is the time to walk if you enjoy afternoon walks with the pleasant 60-degree Fahrenheit weather. The sun is warm, with cool breezes. If you are visiting from colder climates, you'll enjoy a meal outdoors at locations such as The Park Vegas or the LINQ. Try a seat on the patio in the mid-afternoon sun at Cabo Wabo Cantina or LAGO at Bellagio, and you'll forget about the snow that awaits you back home. If you're ready to hit the links, it's almost time for earlier tee times, but for now, stay away from early-morning rounds unless you enjoy that cold feeling at the end of your fingers. The desert can get cold, so you'll find that a few courses are in the path of the frigid winds and that the afternoon sun is your best friend when you decide to get out the sticks. Wondering when the best time to visit Las Vegas is? Find out with our month-by-month guide to Sin City's weather and events.